This is the first article of the Toastmasters Speech Series — a collection of articles which examines the fundamentals of public speaking. 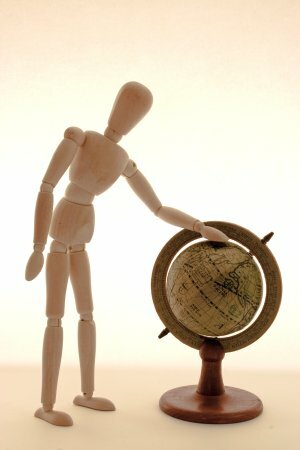 Not familiar with Toastmasters? Find out here. For Toastmasters and non-Toastmasters alike, these articles show how you can graduate from speaking fear to inspiring your audience. The format for the series will be one article for each of the ten speeches which comprise the introductory Toastmasters manual — the Competent Communicator Manual. If you are a Toastmaster, this is your guide through the first ten speeches. For each speech project, we’ll look at tips, techniques, and wherever possible, written and video examples of speeches which demonstrate the goals. If you are not a Toastmaster, consider this an introductory public speaking course. Each of the 10 speeches covers one fundamental skill for public speakers. This is the solid formula on which the Toastmasters program is based. If you’ve never joined Toastmasters or taken a public speaking course, this series will be a primer for you. As the articles are published, each of these will turn into links to those articles. Speech 1: The Ice Breaker — The first speech of the Toastmasters program is about introducing yourself to your peers, providing a benchmark for your current skill level, and standing and speaking without falling over. Speech 2: Organize Your Speech — Introduces the basic concepts of organizing a speech around a speech outline. Speech 3: Get to the Point — Clearly state your speech goal, and make sure that every element of your speech focuses on that goal. Speech 4: How to Say It — Examines word choice, sentence structure, and rhetorical devices. Speech 5: Your Body Speaks — Shows how to complement words with posture, stance, gestures, facial expressions, and eye contact. Speech 6: Vocal Variety — Guides you to add life to your voice with variations in pitch, pace, power, and pauses. Speech 7: Research Your Topic — Addresses the importance of backing up your arguments with evidence, and touches on the types of evidence to use. Speech 8: Get Comfortable With Visual Aids — Examines the use of slides, transparencies, flip charts, whiteboards, or props. Speech 9: Persuade With Power — Discusses audience analysis and the different forms of persuasion available to a speaker. Speech 10: Inspire Your Audience — The last of ten speeches, this project challenges the speaker to draw all their skills together to deliver a powerful inspirational message. Each article will include several examples of real speeches written and delivered by Toastmasters. Instead, I hope these sample speeches will provide ideas and inspiration for you as you search for relevant topics from your own life experiences. The next article in this series addresses Speech 1: The Ice Breaker. This is one of a number of articles related to Toastmasters featured on Six Minutes. Note: Six Minutes is not affiliated with or endorsed by Toastmasters International. Click here for more information about the relationship between the two. I’ll see how I can contribute. This is very good information. I found this since I was looking for information on Toastmasters. I’m definitely going to be joining. I can’t wait to see the rest of the speeches get posted. Please could you let me know when you are doing the rest of the manual? Thanks for the kind words, but I don’t agree with “one doesn’t need to read the CC manual”. These articles are intended to complement the CC manual, and provide additional guidance for Toastmasters members. I found your articles and links to the examples and your analysis very helpful in my project speeches ( 1 to 4). However you have not gone beyond Project 4. Recently I gave my Project 5 speech (Your Body Speaks). The text is available at http://toastmasterspeeches.blogspot.com/2009/04/project-5-speech-ragging-learning.html. Please feel free to refer it in your article if you think it is worthwhile. Well, I guess they gave up on the CC series, I’ve been checking back for months and months waiting for number 5, in the meantime I have completed 3 and 4 in my own club, I guess I’ll trudge on through 5 with no extra help… I’m getting more confidence, so I guess I don’t need it. It proved to be really useful for my Project 6 speech. Here is an an example of Project 7 speech – Research Your Topic. Recently we had general elections in India and we used Electronic Voting Machines (EVMs). I did some research on the process of electronic voting and the EVMs based on which I gave this speech. My Project 8 Speech ( Get comfortable with visual aids) was inspired by 3 short articles in Paulo Coelho’s book “Like the Flowing River”. I’m almost afraid to delve into any more of these videos as I’ve looked at quite a few already and they scare me. Because speakers don’t seem to realize that speaking is performing and so their voices are week, their energry is low, their speech sounds memorized but here goes. Don’t forget that many of the Toastmasters members in these videos are taking their very first public speaking steps. It’s okay that they are not yet polished speechwriters or speakers. That’s why have committed themselves to improvement through Toastmasters. I completed my Project 10 speech (Inspire Your Audience). The topic was “Three Essential Qualities of a Toastmaster”. It would be really good if you would update the series for speeches 7, 8, 9 and 10. Its indeed an excellent article from the toast masters end. I really love your six minutes guide to the first ten speeches! It was really helpful and I don’t think I could have pulled off my speeches successfully without your help! Thanks again Andrew, it would be great if you could continue to inspire us novice toastmasters! Great ideas. Thanks for posting them. This is such a great blog. Love the ten Toastmasters speeches. Hi Andrew. This is a great site. Very valuable for TMs or non-TMs. Can I direct our Club Guests to your site? Even for new TMs – this will be very helpful before they receive their manuals. Again, Thanks a lot. Enjoying the Olympics? You are welcome to link to Six Minutes articles anytime you like! I have recently join a toastmasters club. It is amazing, with all the talking I do with friends. When it comes to formulizing a speech it seems alittle intimidating. I am thankful for this website. I hope to improve as a public speaker. Thanks for the resources that you provide. Can you please send me information on your rates for training in “Advanced Speech Techniques” and information on how you would deliver training. I have a CTM/CC in ToastMasters, would like to improve to be a powerful, impact speaker. I have the lexicon resources(passive) and would like that to be active and effective for strong speech delivery, stage presence to influence multiple levels of consciousness within my intended audiences. This is awesome…I am sending this link to all the Toastmasters Officers in all the clubs I am in so they can give this extra umph to their new and seasoned members. You always have great articles and information…thank you very much! Thank you for the interview with LaShunda Rundles. Awesome blog…I found it loaded with helpful tips…I enjoy reading all the topics…May I know if you have an idea for a humourous topic of discussion as I have this contest coming and I really lack inspiration and the deadline is closing in!!! As a Toastmaster for many years, it heightens my energy level to read posts about my organization, and its stature in the world. The letters after my name indicate that I have completed the first ten speeches, CC, and subsequent levels of expertise within the organization. As an accomplished speaker, and toastmaster, I want to commend your efforts to broaden the horizon of the speaking field, and the breadth to which your site has made speaking look easy. I just finished speech #4 as a member of TM. Slowly, I’m improving. However, I still find it difficult to memorize my speeches. Any advice, especially for my next speech? It may seem obvious, but the best way to move toward delivering without notes is extensive rehearsal/preparation. The more time you allow yourself to rehearse the speech, the more it will “stick” in your head. Having said that, you don’t need to make the leap all at once. If you are currently writing out speeches in full and reading them, then move toward using notes which have just the first sentence of each paragraph and a few key words as a means to jog your memory. Then, move toward writing down just a couple keywords for each paragraph of your speech. Then, move toward notes which contain just a couple keywords for each major point or story you are using. From there, its a very small step to delivering without notes at all. My next speech is #5. I feel confident about this speech because: I’m knowledgeable about gestures and cross cultural communication. I am very appreciative of your tips on the 10 speeches. 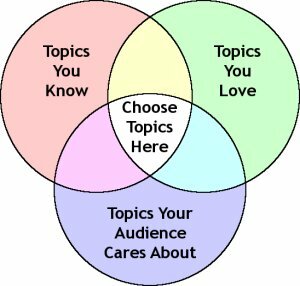 Something to note for non-members reading this post is that you can present any “topic” you’d like in your Toastmasters speeches. The Toastmasters manuals are designed to give you objectives to work toward accomplishing with each presentation…but the topic you present is up to you. Just wanted to say thanks – your blog has been very helpful to get me through my CC manual. Toastmasters is a great place for beginning speakers to learn how to research, write and deliver speeches on a consistent basis. I still go back to some of my Toastmasters books when I need a refresher course. this is a great initiative. it will go a long way in assisting people become better speakers. I really like the lay-out of this page- user friendly and great learning aid. When are you doing Speech 8?? I found this article very useful, thanks a ton! !Please keep up the good work. I’m sure there are others like me who are waiting for your inputs about project 8 onwards. Excellent website, Andrew. I am very grateful for your taking the time to put all these precious resources together for us. Having been a toastmaster in several clubs both in the UAE as well as here in New Zealand, I have learned that experience and confidence as a mature speaker is a corner stone of sharing this rich experience and knowledge with others within the club and we all listen and learn together. This is my passion. OUTSTANDING, FANTASTIC AND EXCITING SITE , THANKS. Why are Speeches 8-10 not posted here please? Where or how can I find them? I am a beginner, at public speaking I am recovering from an auto accident and feel like I am coming out of a fog, or a walking zombie state and now I have to get my brain to remember, present intelligently and with a purpose. Would love to have recommendation for project 9 as well. How can I get 8-9-10. I ammgoing to present 8 then 9 and fonish 10 .
me to prepare my 10projects. Hi, I was actually waiting for the Toastmasters Speech 8 to 10 but you haven’t update your post yet. Thank you for the other samples. It helped me! I am considering joining Toastmasters. Thank you very much for the very valuable materials on Toastmasters prepared speech program. I deeply appreciated your earnest efforts. I was discussing debate classes with my grandson and wanted to tell him about speech also but couldn’t remember the three types of speeches we had to give. Can’t remember actual title of other two. Any help here? You made me realize there is so much time for us to improve our public speaking skills. Please let me know more about great toastmasters. Interested in Six Minutes articles by email. Need help with CCs?Look what we found!